A man has been convicted of the manslaughter of an off-duty police officer who died when he hit his head after being punched. 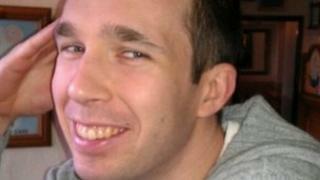 PC Gareth Francis, 28, was attacked as he walked home from a night out in Edgeley, Stockport, in January. Westley Holland, 20, of Laburnum Way, Stockport, was found guilty of manslaughter by a jury at Manchester Crown Court. He is due to be sentenced on 12 September. Charlotte Rimmer, of the Crown Prosecution Service, said: "Throughout the investigation and prosecution Westley Holland has failed to accept full responsibility for his actions by lying about what happened on the night that Gareth died. "First he played down his involvement in the attack, before going on to claim that he was acting in self defence. "This case demonstrates just how much damage one punch can cause, and although no outcome can compensate Gareth's family and friends for their devastating loss, I hope that they can find some comfort in the fact that the person responsible has now been brought to justice."